Worldwide retail e-commerce sales are rising. Unfortunately, a sharp uptick in the online counterfeit market has accompanied the growth of global online marketplaces. Counterfeit products now comprise an estimated five to seven percent of all global trade1. Counterfeiters weaken your brand reputation and erode revenue by selling unauthorized goods to your consumers. MarkMonitor AntiCounterfeiting uses a combination of advanced technology, deep industry expertise and expansive relationships with marketplaces, payment processors, investigators and industry partners to identify the full scope of the counterfeiting problem and facilitate quick enforcements. Actionable intelligence and unmatched visibility across digital channels enables you to hone in on the most egregious offenders, making tour brand a hard target for bad actors and authentic goods more available to consumers. It isn’t just your brand that is at risk: counterfeiters adversely impact your customers, including their health and safety. Customers increasingly expect brands to do more to protect them from counterfeit, so it is your job to put a proven solution in place in order to maintain customer loyalty and trust in your brand. Counterfeiters are getting smart to current detection and enforcement strategies, so it is imperative that companies use solutions that continually analyze and improve anti-counterfeiting technology and intelligence. MarkMonitor provides us with a comprehensive set of solutions that are effective, measurable, and strong visible. Visible in the sense that our colleagues in the field sales office and here in headquarters see the tangible results from fewer customer complaints aabout a counterfeit product, decrease in lost sales to counterfeit, and action being taken by the brand protection team (legal and other people) against the counterfeit product. Our proactive approach includes enlisting the services of MarkMonitor, local customs in some countries, and local attorneys. MarkMonitor AntiCounterfeiting helps brands fight back with a solution that detects potential infringements to safeguard online revenues, preserve brand integrity and protect your most valuable asset: your customers. Sellers that infringe on a brand will stop shortly after we take action. Intelligent Detection: Intelligent detection technology leverages machine learning, big data analytics and a multi-channel approach that quickly identifies infringements across millions of product listings and an unprecedented volume of data. Geo-specific Search Results: Relevant search results by harvesting data using local proxies to identify brand abuse in a specific local market, detect abuse outside your home markets, as well as analyze abuse trends across various geographies. Image Clustering: Next generation image clustering to prioritize and identify related infringement – including copyright and counterfeit. Efficient Enforcement Workflow: Our workflow is optimized to analyze, tag, and enforce infringements to take down large volume of abuses quickly and efficiently. Actionable Intelligence: MarkMonitor leverages technology, strategic services, investigative reporting and other world-class tools to generate actionable business intelligence and targeted insights to identify and enforce against widespread counterfeiting activity. We are your brand protection partners: We help the world’s most recognizable and iconic brands with the most sophisticated challenges – helping to establish and defend their online presence, and advocating on their behalf in industry groups. Real-time Analytics and Reporting: Maintain visibility into the effectiveness of your brand protection program with real-time insights, targeted KPIs and advanced impact reporting. MarkMonitor offers the most comprehensive anti-counterfeiting solution enabling organizations to detect and analyze the broadest range of online brand abuse and combat it across all digital channels. Fraudsters often leverage a number of different channels, trying to find gaps in your coverage to exploit and sell their counterfeit product. Our agile solution is able to quickly scale and meet the demands of a rapidly and ever changing online arena. MarkMonitor is able to detect, analyze, act and report across a multitude of channels including websites, marketplaces, search engines, social media, mobile apps and paid search. Counterfeiters detract revenue from your brand by redirecting consumers to their counterfeit products. This is damaging to your hard-earned brand reputation, which can translate to lower sales as customers begin to view your brand in a negative light. 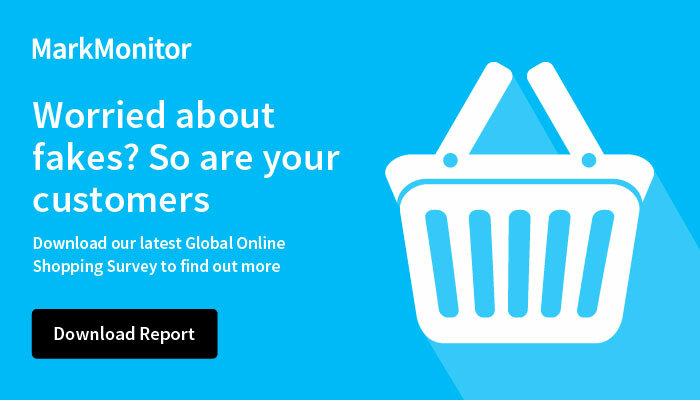 MarkMonitor helps protect your brand reputation – and revenues – by finding counterfeiters across all digital channels – and helping enforce against them. Our team of experts offers a fully managed anti-counterfeiting program designed specifically for your business needs and objectives. We have years of expertise in fighting counterfeiters and have developed rigorous standards in identifying counterfeit goods and collecting evidence. You can count on our global team for 24/7 support and leverage our industry relationships for faster and more effective enforcements.